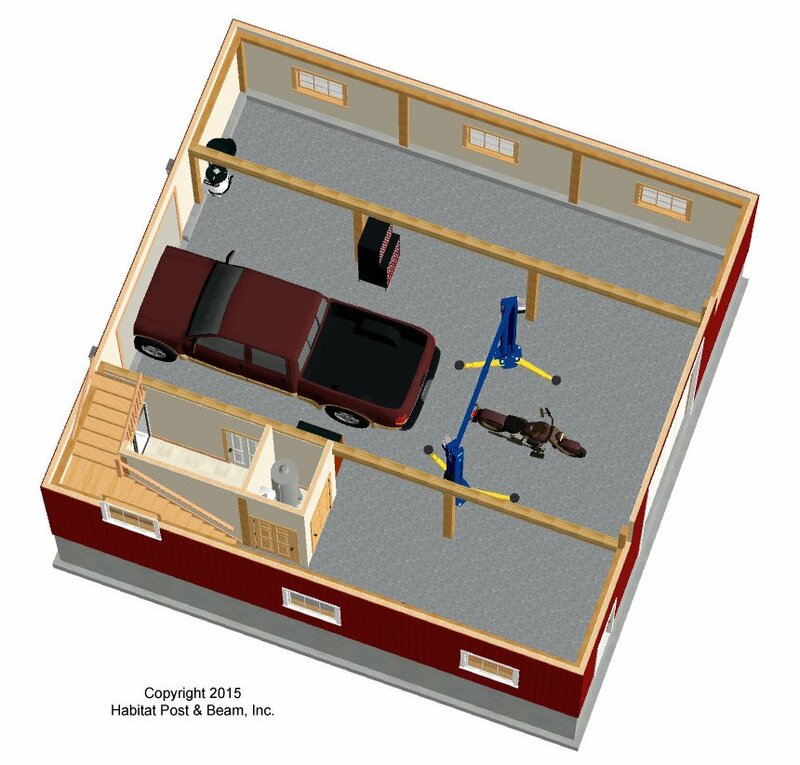 This workshop/garage features a drive-through design, tall overhead doors, a second level loft, and space for a vehicle lift. Package Price: $134,500 as specified below (from $109,500 to $142,500 depending on framing options). The standard price includes our Full Exposure Wall System, Plaster and Beam or Beamed Mid-Floor System (same package price), and our Beamed Roof System. 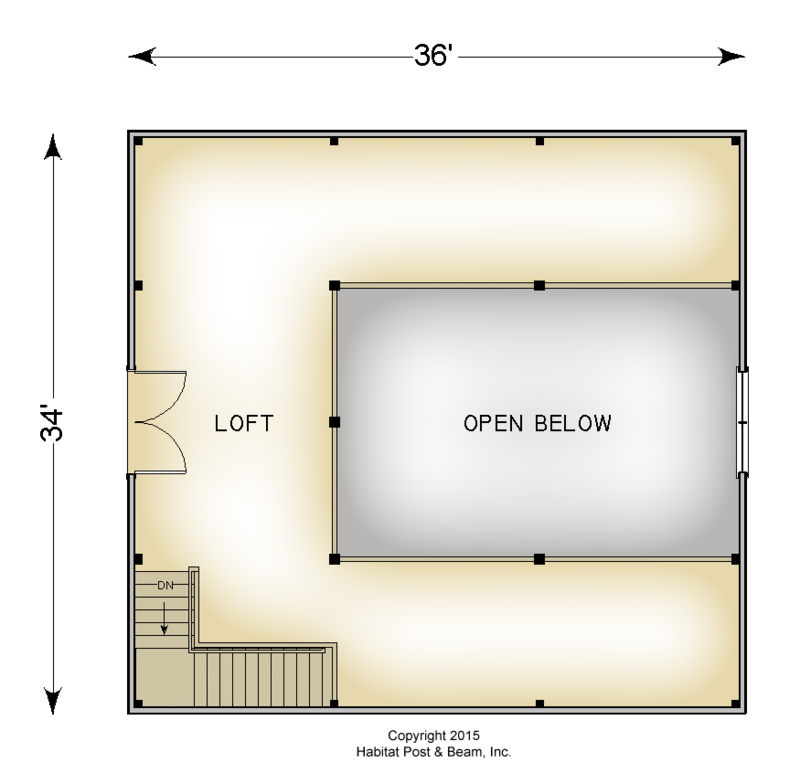 Depending on framing options you select, the price could be lower or higher. This price is valid through 2019; prices generally increase about 2-3% a year after pricing date.